Opening a new restaurant takes a lot of time and work so the last thing you want to worry about is your signage. 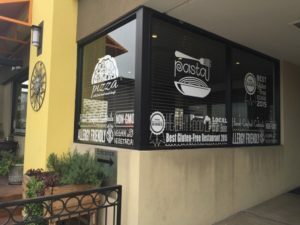 At SpeedPro East Bay we can help make the process easier by offering all sorts of solutions to get your restaurant headed in the right direction and ready for opening. 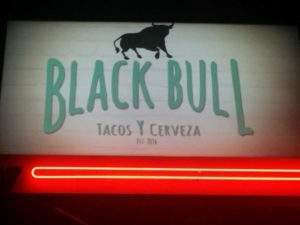 Outdoor lit/ 3D sign: Whether you want a simple backlit sign like Black Bull Tacos or a 3-dimensional sign like Sub Zero, your restaurant is now easily recognizable for customers. A-frames & Sidewalk Signs: If your restaurant is in a hidden or remote location, then chances are you have a great venue. But, you want people to be able to find you and that’s where sidewalk signs come in handy. These are also useful to grab passerby attention and get them to notice you. 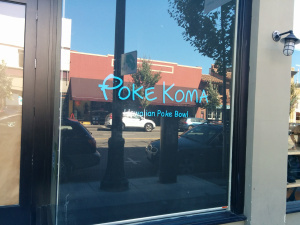 Window Graphics: If you have a special promotion that you want to advertise, or if you want to lay out briefly what you have to offer, then the window is the best place to start. 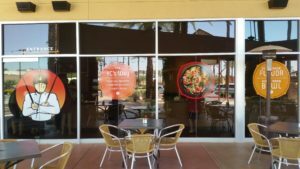 We can create temporary graphics with window clings or more permanent ones with our adhesive vinyl. Interior Decor: When people step inside your place of business you want to make sure that it looks clean and sleek. However, more than likely you don’t want to have blank white walls so give them something interesting to look at. It could be large art pieces hung up or a wall mural. Anything to show that you care about the interior ambiance of your business. 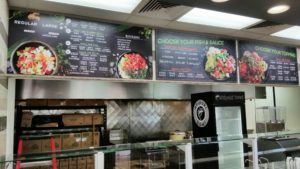 Digital Signs/ Menu Boards: If your restaurant is one where the menu is constantly changing then a digital menu sign would probably be your best bet, however they’re also more costly. 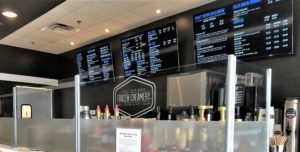 An alternative to this is a more permanent approach where we print out the menu boards directly and then mount them to the wall. 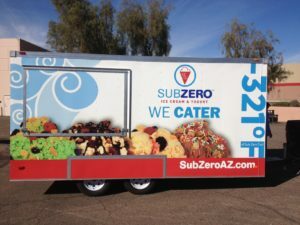 Food Truck Wrap: Finally, if your restaurant is food truck based or you have food trucks as an extension of your restaurant, we can wrap them up. We can do anything from a small cart all the way up to a full-service trailer, no job is too big or small. 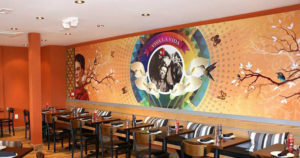 If you need help with any graphics for an existing or new restaurant give us a call.